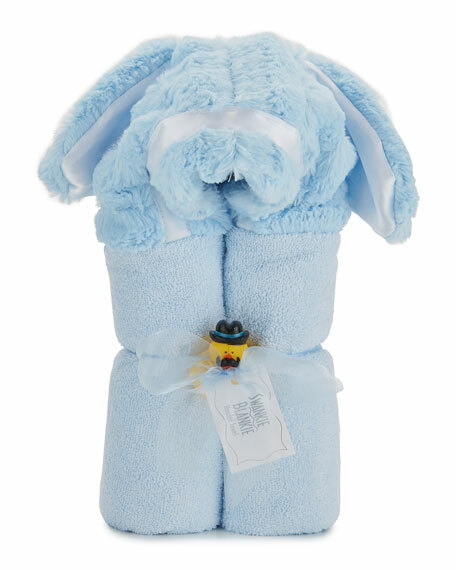 A playful puppy motif, courtesy of Swankie Blankie, is sure to get your little one to keep still for drying after bath time. Tonal trim with plush contrast texture on hood; puppy ear detail at top corners. Cotton; polyester hood with cotton lining. Please Note: Style of rubber duckie may vary from what is pictured.